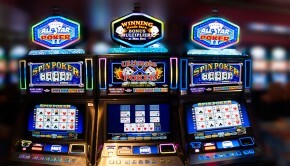 You need to be warned that a Video Poker strategy can get quite intricate and complicated. We’ve given it our best effort to simplify things as much as possible and spare you useless details so you can more easily remember the information we provide and apply it in an actual casino setting. We would also like to note that we are not miracle workers. Even though we would like to wish all of you the best of luck, in our attempt to give you fair shot we are simply improving your chances, but we cannot guarantee 100% that you will win, so don’t go off betting everything you’ve got. In the world of gambling nothing is 100% certain. That’s why it’s called gambling. Hence, even though our strategy will significantly increase your chances of winning, it cannot overcome the inherent flaws of the game itself. Now that you’ve been warned, let’s proceed to the actual strategy. You want a Royal Flush!There really is no way around it. This is what you want and what you need if you hope to definitely win the game and take the prize money. This is what you might call the jackpot. In some cases, getting a Royal Flush will get you the progressive jackpot which can be worth a lot of money. Of course, the chance of actually hitting it is very, very small or so, but when you get it, you will probably win big. If you play it smart enough, you might as well go for the jackpot, while in the same time ensuring that you don’t blow over your bankroll in a fool’s errand. 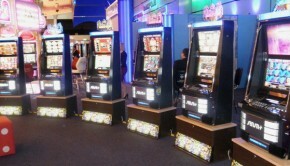 It’s all about smart money management and picking the right machine (or the right casino, as it often turns out). There are three main rules you should always follow, or you might as well just burn your money. We’ve already talked about this but we feel that it’s an important point that needs to be reiterated. If you don’t want to lose your entire bankroll quickly and disappointingly, then choosing the proper locale for your gaming session is absolutely crucial. 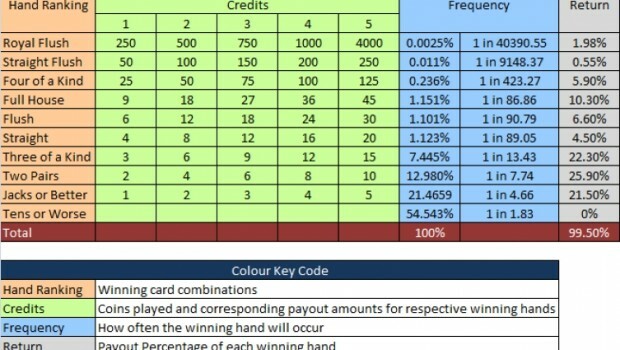 You need to be aware of the payouts, casino edge and what chances you actually stand if you play the machine you’re looking at. You can always scout ahead, ask other gamblers around, ask the casino personnel, do online research, but by far the most effective strategy is assessing the situation yourself. This is not the kind of thing you can do by just walking into a casino. You need to look at the offered payouts and compare them to the payouts offered in other casinos. Today’s smartphones have apps for everything, so we would be surprised if there isn’t an app for that, as well. Furthermore, take a look at the playing. Are they winning? Are they losing? What is the overall atmosphere in the house? Is it big or small? Where is it located? These are all important questions you need to answer if you’re hoping for a profitable gaming session. Otherwise, you better save your money until you’re ready to invest some more time in planning and preparation. You need to take things slowly. Make the proper assessments and deductions. Appreciate the fact that you’re planning on liberating the casino’s money from their tyrannic captor. This takes time, but it’s also a part of the enjoyment. The trill of the hunt. The adrenaline rushing through your veins while you’re approaching your chosen machine after it’s been all said and done. 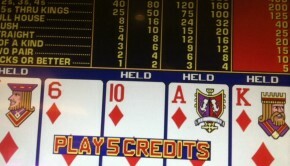 Video Poker isn’t simply about winning. It’s about winning properly. In most cases (not exactly all, but in most cases) it’s a good idea to play the maximum coins in order to maximize your profits. The more you bet, the more you get if you win and since in Video Poker the house edge is pretty small, it won’t mean that you will lose your bankroll without seeing anything in return. Playing maximum coins will ensure that if you hit the Royal Flush, your winnings will be multiplied by five (unless there is another rule specified in the casino involving the progressive jackpot, for example). In the case of Slots it’s not really worth it to go for maximum coins, but on Video Poker it definitely is. However, keep in mind that this doesn’t apply if you pick a bad machine (in a pub or a bar, for example, as we discussed earlier). If there is an unnatural house edge for one reason or another, then you will lose a lot of your money without seeing much in return. In this case we would suggest not go for maximum coins. In fact, we would suggest that you don’t play at all. Often times the main difference between the winners and the losers in a casino, no matter what game you look at, is the bankroll management. Winners know when to stop. Losers don’t. When they start losing, winners would stop playing, whereas losers would amplify their losses. If you want to be a winner, there is no easy way to say this, but you need to learn how to manage your money correctly. There is one simple rule we need you to remember and always follow no matter what – never add money to your bankroll. For one reason or another, you’ve decided your bankroll for the night. If you lose it, under no circumstances add more money to it. You will probably end up losing that, too. Instead of making something a fun, memorable night where you won a bunch of money from the casino, you will turn it into that night where your lack of discipline got you into debt (or more debt). In order to avoid that, always remember to never add money to your bankroll. Another important point is that you should consciously decide on your bankroll. You need to make sure that it’s not going to be too for you and that the bets you make correspond to it. If you can divide it into 50 equal bets that would be superb. It’s almost ideal. If you can get to 100 even bets, that can be even better in the long run, but don’t shoot for more than you can afford. Always remember that gambling is more about fun and playing responsibly than it is about getting rich quick. Don’t get too greedy. Speaking of greed, what do most people do when they start winning? They start betting more. This is a very bad idea and it’s the exact opposite of what you should be doing. Casinos expect you to fall for this which is why you shouldn’t. A smart player would consider locking some of his winnings away so he can ensure that he leaves the house a winner. For example, imagine that you get 40% profit out of your original bankroll. That’s perfect. Now what you do is lock away half of it, plus your original bankroll and keep playing with the remaining 20%. This way, even if you lose all from this point on, you will still leave with 20% profits, which if your original bankroll was a bit higher, can be a lot. Also, you are guaranteeing yourself the victory. And if you win more on top of those 20%, you can lock away even more money, thus ensuring that you leave the house a richer man (or woman). Follow these tips, you will find that you are no longer on the mercy of the casino. You are the one who has some control now and you won’t just let them dictate the rules. This is how winners do it.